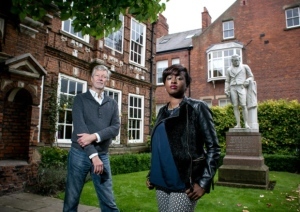 “But we believe everyone has a role to play in fighting slavery, even if it is just thinking about the goods you buy.” Click here to read the full article written by Hull Daily Mail UK on the work of our CEO Shamere McKenzie and Senior Advisor to our Board of Directors, Kevin Bales in Hull, England. We are currently accepting applications for our Texbook Scholarship for survivors enrolled in a two or four years college for the Spring 2016 semester. Please email scholarships@sun-gate.org to inquire and apply. ALL APPLICATIONS ARE DUE NO LATER THAN DECEMBER 15, 2015! 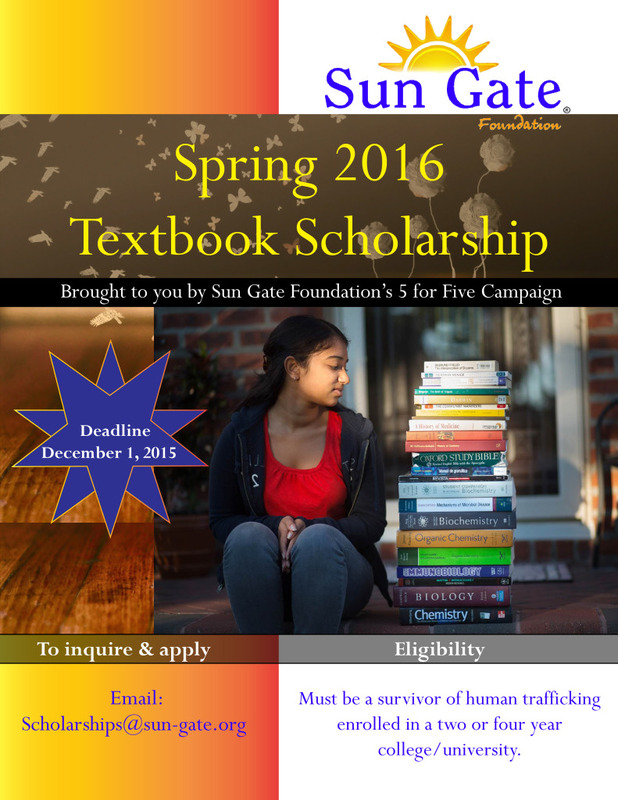 Sun Gate Foundation sole purpose is providing access to education for survivors of human trafficking. We strongly believe education is one avenue survivors can reclaim their lives and live a life they imagine. 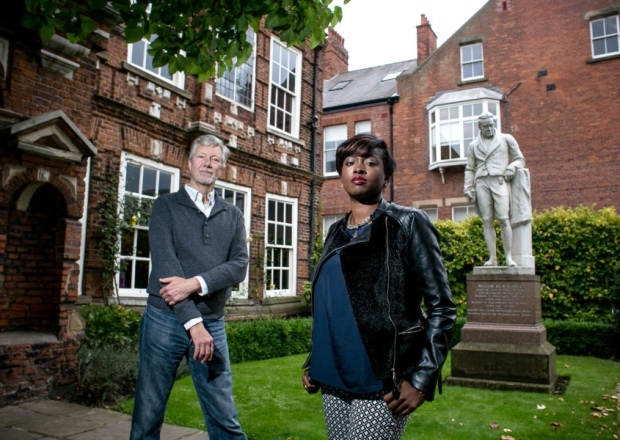 Our CEO Shamere McKenzie is living proof that survivors can reclaim their lives through education. On May 8, 2015 she graduated with her B.S. in Criminal Justice & Criminology. This milestone was covered by CBS Chicago and you can read/watch the full story here. 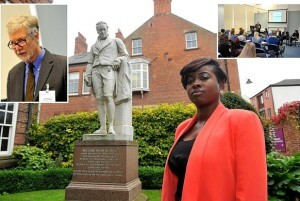 If anyone knows the words persistence and hard work, it’s our CEO Shamere McKenzie. As Loyola is preparing for graduation next week, four graduates were highlighted and Shamere was one of them. 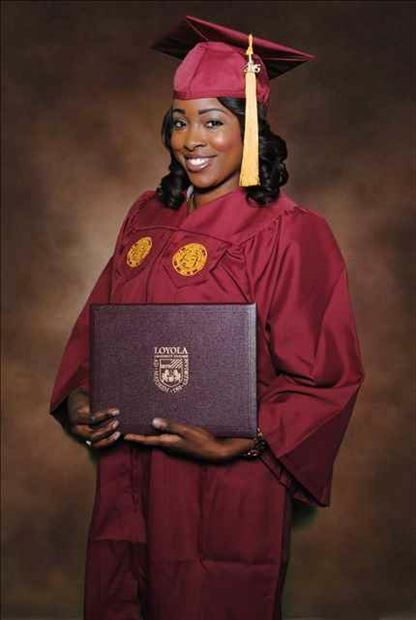 Click here to read the featured story on Loyola’s website.